As casinos, racetracks, card rooms, state legislatures, and sports fans around the United States wait for the U.S. Supreme Court’s decision on the Professional and Amateur Sports Protection Act of 1992 (PASPA), New Jersey is preparing itself. The state which is directly involved with the court case at hand has now seen a bill to legalize sports betting introduced in the state Assembly. And the bill looks like an elongated middle finger directed straight at the major U.S. sports leagues. For eons, the major professional sports leagues in the U.S. – NBA, MLB, NFL, and NHL – as well as the NCAA have pretended they were against sports betting because it threatens the “integrity of the game.” And to be fair, there have been betting scandals where a player or referee took money to influence the outcome of a game. But realistically, such scandals are extremely rare and the leagues benefit greatly from gambling, as it generates interest in the sports. 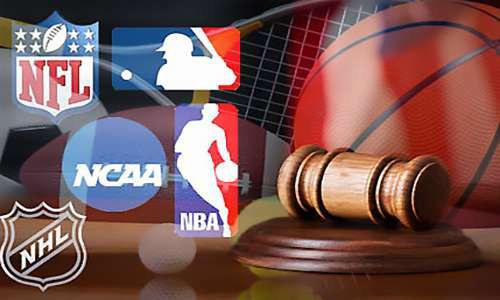 In an effort to both keep up appearances and just simply grab money, the NBA and MLB have met with lawmakers in some states to pitch something called an “integrity fee,” a one percent fee on all wagers, with that money going to the leagues. One percent doesn’t sound like much, but when it is on total wagers, not on gross gaming revenue, it equates to a massive chunk of an operator’s profits. Professor I. Nelson Rose did the math on his blog back in January and determined that just a one percent integrity fee would take about a 25 percent bite out of an operator’s gaming profits, and that’s before all other operating expenses. So does the New Jersey sports betting bill include an integrity fee? Yes, but it’s not at all what the leagues want. Sections 10 and 11 of A3911 detail a “Sports Wagering Integrity Fund,” into which each operator in the state will an annual fee of the lesser of $7.5 million or 3 percent of sports wagering gross gaming revenue. That gross gaming revenue equals the total wagers accepted minus winnings paid out. In reality, the amount will be 3 percent, as it will require gross gaming revenue of $250 million for an operator to hit that $7.5 million threshold. (4) any other eligible expenses approved by the Attorney General. Now we just need to wait to see if the Supreme Court does its part.